Executors of Michael Jackson's estate have asked the Discovery Channel to cancel plans for a programme claiming to re-enact the late singer's autopsy. 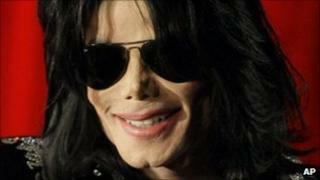 John Branca and John McClain said the show was "in shockingly bad taste". In a letter, the pair accused the company of being motivated by "blind desire" to exploit the singer's death. The show - entitled Michael Jackson's Autopsy: What Really Killed Michael Jackson - is scheduled to be broadcast in Europe in January. "Your decision to even schedule this programme is in shockingly bad taste and insensitive to Michael's family," the co-executors wrote. "On behalf of Michael's family, fans, common sense and decency, we urge you to reconsider and cancel this programme," they added. An advertisement used to promote the show reportedly depicts a body covered by a sheet with one hand wearing the singer's trademark sequined glove visible. "Discovery obviously views this as clever advertising and creative 'branding' for its programme," Branca and McClain continued. "In fact, the ad is debased, sick and insensitive." Discovery Communications declined to comment on the letter, the Reuters news agency reported. Meanwhile, lawyers for the doctor facing trial for involuntary manslaughter over Jackson's death may suggest the singer killed himself, a prosecutor has claimed. In a court session to discuss evidence in the case against Dr Conrad Murray, Deputy District Attorney David Walgren said he believed defence lawyers were looking into the theory. "They don't want to say it but that's the direction in which they are going," he said on Wednesday. Outside the Los Angeles courtroom, defence lawyer J Michael Flanagan declined to comment and said lawyers were still investigating the case. A preliminary hearing is scheduled to begin on 4 January where it will be decided if there is sufficient evidence to hold Dr Murray for trial. Dr Murray has repeatedly denied causing Jackson's death.